Las Vegas has long been the magic capitol of the world. It would take a daring, fresh and fearless magician to throw their hat into the mix - and that's exactly what French export Xavier Mortimer has done. With VEGAS (the app) you can find great prices on Las Vegas magic show tickets featuring Xavier Mortimer. Since gracing stages in more than 30 countries and most recently starring in Cirque du Soleil's acclaimed show Michael Jackson One, Mortimer marks the first Cirque performer to launch a headlining residency on the Las Vegas Strip; and it's easy to see what makes Xavier Mortimer so special. 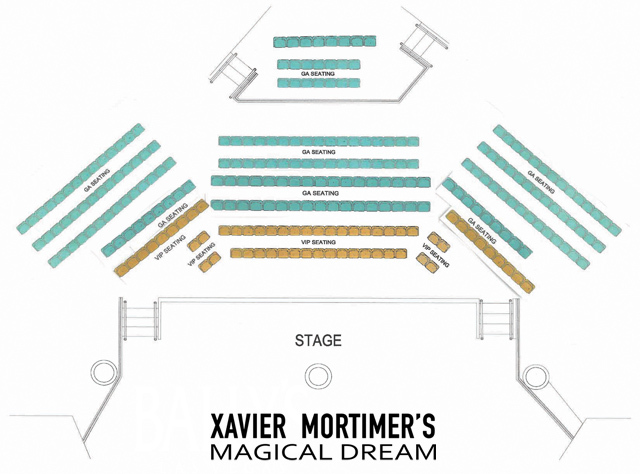 The show - Xavier Mortimer's Magical Dream - is unlike any other magic show in Las Vegas. Audiences enter the Windows Showroom at Bally's Las Vegas and find themselves immediately transported into Mortimer's magical dream world. Finding Mortimer’s Magical Dream show tickets is easy with VEGAS (the app)! Along with his unconventional cast of characters, Mortimer takes the audience on an adventure they won't soon forget. Spectators will be in amazed by how the magic poetically unfolds through more than 14 acts in this wild dream. With the wonder of Mary Poppins, the theatrics of Charlie Chaplin, and an array of talents unique to himself, this all-ages production transcends what you thought you knew about entertainment. A funny, daring, inspirational and immersive Las Vegas magic show, Xavier Mortimer's Magical Dream is the key that opens the door to a hidden world of magic you never knew you were missing. All ages are welcome to attend this show.